This is a recipe that I got from my mom. I grew up in the country, and behind the barn at the end of the field there was a fence row that grew huge blackberries. We would eat blackberries until we were sick of them, and then keep eating them. We never did any upkeep on the blackberries except to mow it back once in a while, and every year it would come back bigger and produce more. I can’t remember when they started dying out, but it was probably around the same time that I became a teenager and stopped caring about them so much. I’ll make blackberry cobbler later, when they’re in season. 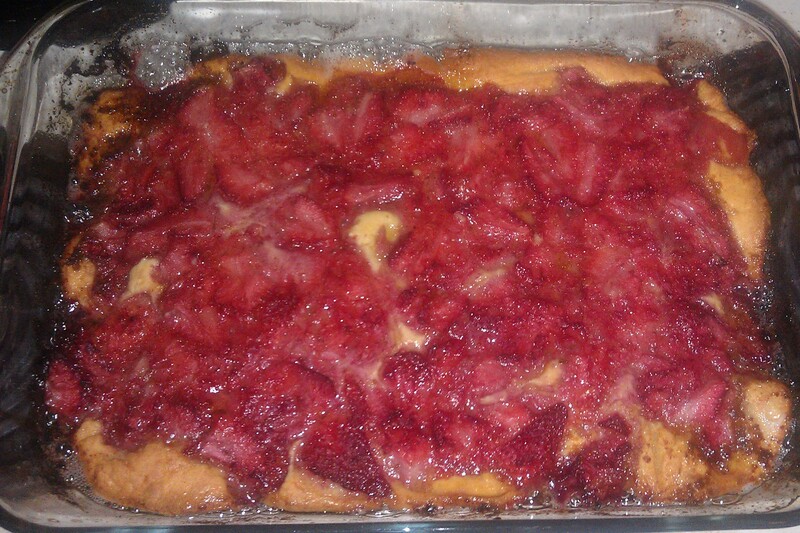 Last night I made strawberry cobbler. I never said this was healthy. Mix together the milk, flour and baking powder until its smooth. 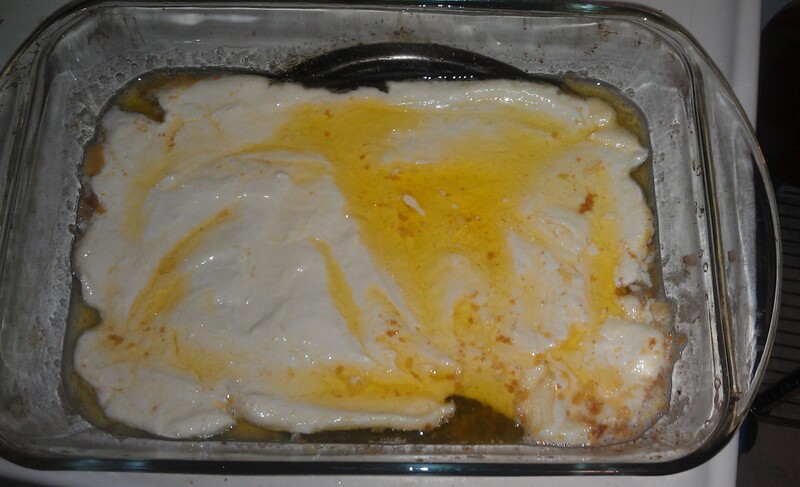 Put your entire stick of butter, whole, into a large Pyrex pan or like. Put in back into the oven until it melts. I may have overcooked mine a bit while I was chopping the strawberries. I mashed them just a bit and added a tablespoon of sugar. 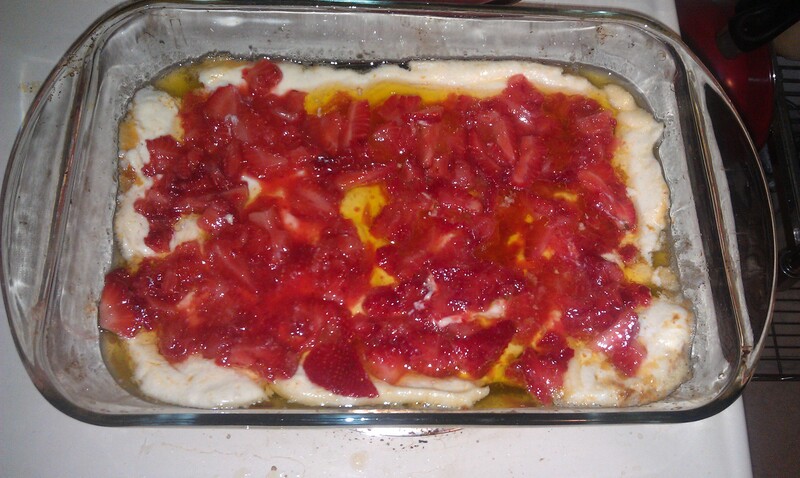 You don’t have to add sugar to blackberry cobbler, but I felt like the strawberries needed just a little. 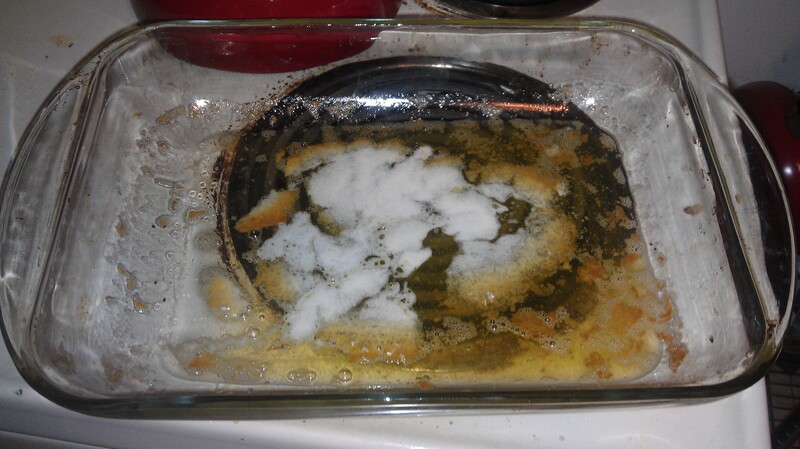 Pour your flour mixture around your pan evenly, over the top of your melted butter. Do not mix it in! 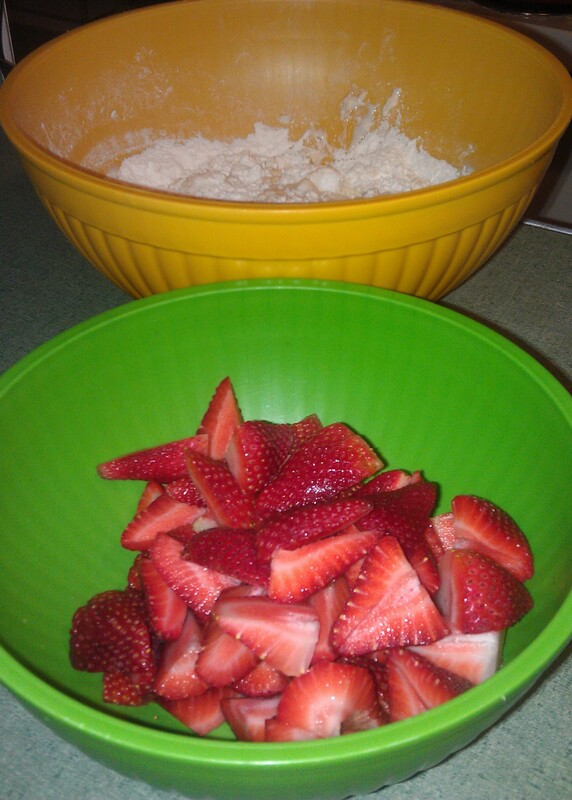 Now just pour the strawberries over the top of all that. Bake that mess for 35-40 minutes. Finito! Enjoy, preferably over ice cream.